This Winter season has been a cold one...which is rare for So-Cal. And, it usually doesn't rain very much either. However, lately its been cold and rainy and it does not appear this is going to change any time soon. 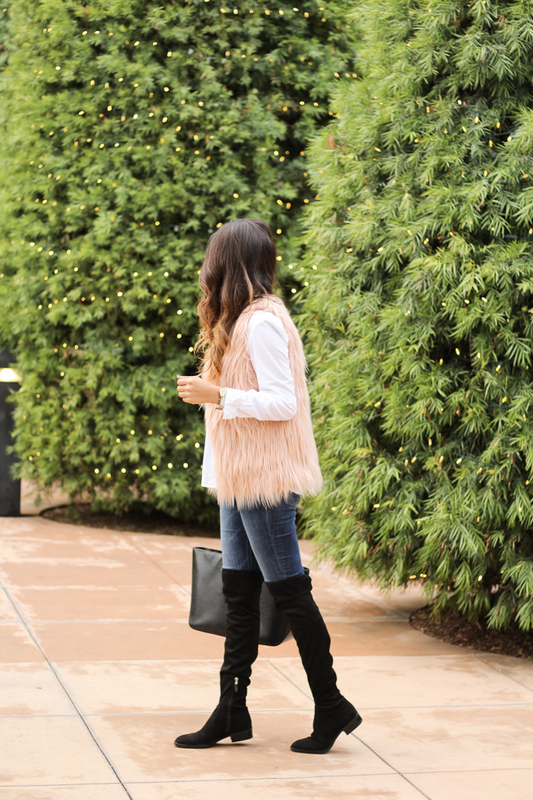 So today I am sharing a look that is perfect for the long winter to come. I've been living in these boots...can you tell I'm obsessed?! OTK boots are essential for winter, especially a good comfy pair. I also think its a good idea to invest in a good cleaning set to maintain all your boots- this is one I use (erasers are perfect for suede). I feel like black boots always attract so many scuffs and dirt shows up more- so giving them a quick spot clean can maintain them (looking great) longer. Winter weather can really take a toll on shoes- so cleaning them is essential. I also love fur during colder months. 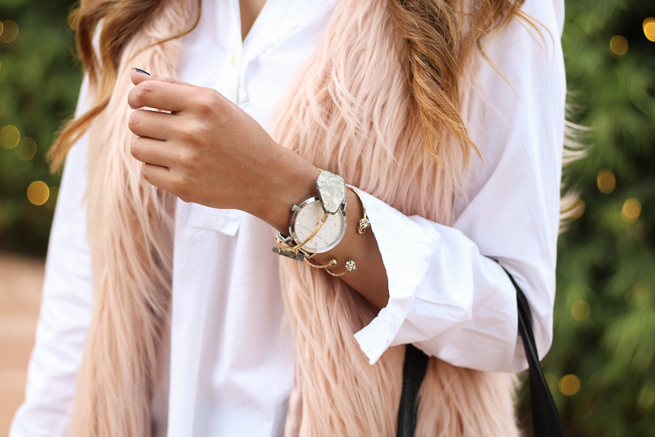 These fur vests are the perfect way to layer and stay warm. Last year I got the same one in grey and I just had to get the blush color. Pink just makes me feel good during these gloomy months.